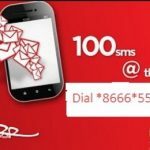 Robi 35Tk Recharge 15 Minute Free Offer! All Robi prepaid customers (including Uddokta, Easyload, Corporate and SME) can enjoy 15min Bonus on the recharge of Just Tk. 35 in their main account. Customers can get this 15 minute free offer in 3 days (every day 5 minute). The customers who want to know or how to activate the process system. No tension, just read this full instruction details. Here we will update information to activate this 35Tk Recharge Offer details. Robi all prepaid customers are eligible to 35 tk recharge offer. Every days 5min Bonus is to be used between 10:00:00am – 12:00 pm (2 Hour) within the validity period. Validity this every 5 minutes in 1 days. To check your free minute balance, just dial USSD Code *222*2#. Customers can recharge Tk. 35 and get bonus maximum 3 times in a day. From 35tk recharge 4 times in a day, customers can not get any free minute, but 35tk added to your main account balance. This offer will be run until the future notice. We hope all Robi prepaid customers can get more details about the Robi 35Tk Recharge 15 Minute Free Offer. Here you also can get Robi Bondho SIM 6GB Internet details . If you want to know more or face any problem to activate this offer, please comments the box. We will try best to solve your problem. Thanks to all customers for stay with us.